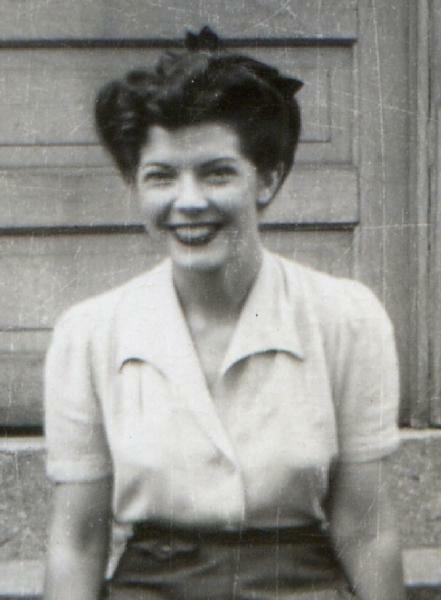 Ida Darin was born on 11 January 1920 in East Chicago, Lake County, Indiana, at Indiana Harbor. She married Jack Franklin Ammon, son of Clifford Ammon and Mattie Lou Major, on 18 January 1941 in East Chicago, Lake County, Indiana, at First Baptist Church. Ida Darin became a widow at the 1 January 1990 death of her husband Jack Franklin Ammon. She married William Belshaw on 18 June 1993. Ida Darin became a widow at the 3 November 2001 death of her husband William Belshaw. On 11 January 2010, Ida celebrated her 90th birthday in Georgetown, Texas, with her daughters Gail and Siena, niece Linell, and a nice little group of friends. Ida Darin died on 7 May 2010 at age 90 in Georgetown, Williamson County, Texas, at home and in peace, in hospice care, with her daughters Gail and Siena.